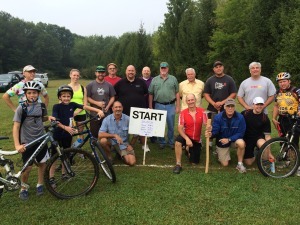 Welcome to Montour County’s first purpose-built mountain bike trail network. 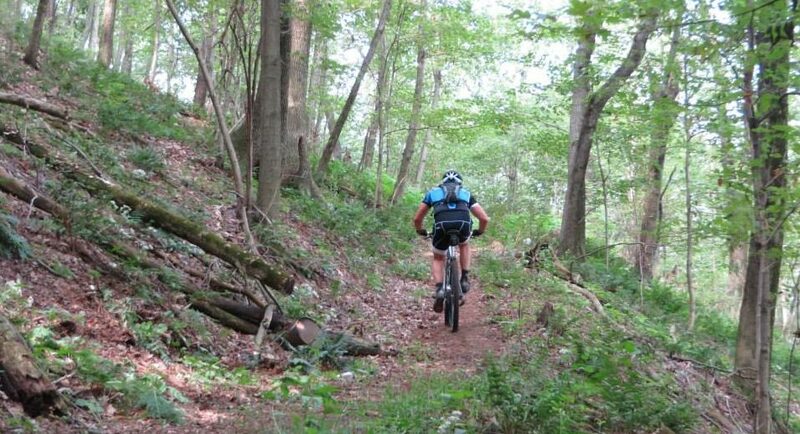 Built by mountain bikers for mountain bikers, the Hopewell Park / Danville Borough Farm Trail network is designed to challenge experienced riders while still allowing beginners to enjoy a great day on the trail. We’ve made use of all the fun terrain and features man and nature offered and added enough twists and turns to keep you coming back for more. With more than 11 miles of trails built so far and more in the works, there are plenty of options to keep you riding. The Montour Area Recreation Commission is forever grateful to the men and women who gave their blood, sweat and tears to make these trails a reality. 1) These trails are purpose-built for mountain biking and are designed to be ridden in a specific direction. To maximize your riding pleasure and minimize nasty head-on collisions, please follow the trail arrows. 2) For your own safety and so that we can keep these trails open, stay on the trails at all times. Even though we’re sure you’re awesome, the trails are your best bet to get home without a detour to the local emergency room. Portions of these trails pass through a closed landfill and glass, metal and other fun-ending hazards can and will wreck your day if you try to blaze your own trails. The trails are also close to farm lands, private property and restricted sites. For your sake and ours, stay on the trail. 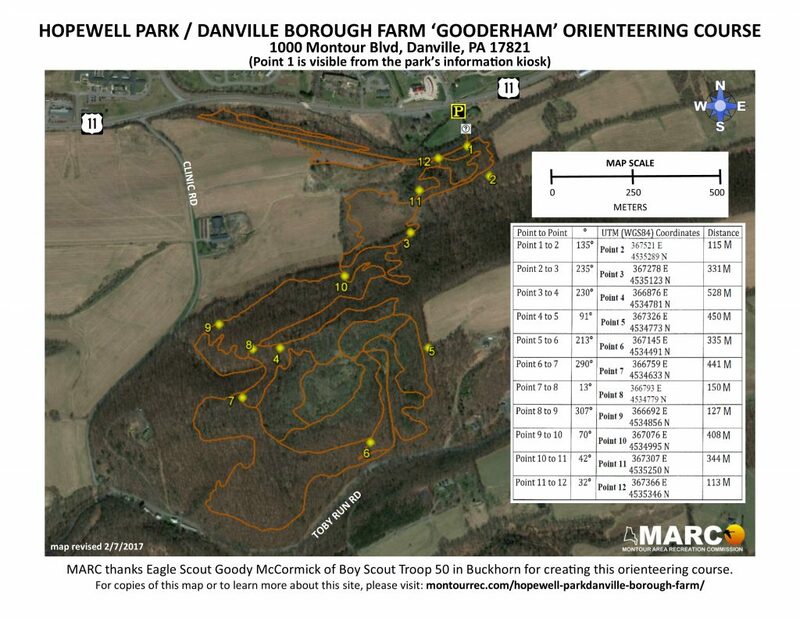 3) These are multi-use trails in a multi-use recreation area. If you’re on your bike, you are very likely to encounter people doing things other than riding. In particular, hunting is allowed on this property and hunters have been using this site long before these trails were built. Respect other park users and be good ambassadors of your sport. Our continued use of this park depends upon your good behavior at all times. 4) Because hunting is allowed on this property and because folks were hunting on this property long before you got here to ride today, these trails are closed on Saturdays from the last Saturday of April through the last Saturday of May and again on Saturdays from the last Saturday of September through the second Saturday of December. Trails are closed from the last Monday in November through the second Saturday in December (excluding Sundays) during deer season. Are you here on a Saturday during hunting season and need a different place to ride or run? 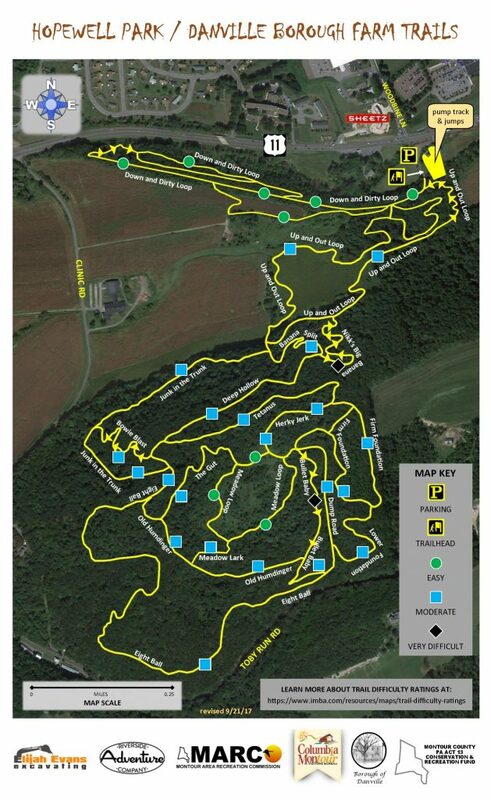 Consider the Geisinger Stewardship Forest Trails for a challenging run or ride (note: site is open to hunting) (99 Powder Mill Road, Danville) or the Hess Recreation Area (closed to hunting) for a more mellow vibe (300 Meadow Lane, Danville). 5) In the end, you are making a voluntary decision to ride these trails and you have been advised of some of the perils of doing so. There are potentially hazardous conditions both on and off-trail and you may encounter unexpectedly dangerous acts of man and/or nature. Anything could happen out there, so be prepared. You are choosing to ride at your own risk. To learn more about mountain biking fundamentals, opportunities to get involved in promoting and creating additional mountain biking opportunities in our region and IMBA’s ‘Rules of the Trail’, please visit the International mountain Bicycling Association’s (IMBA) website at: http://www.IMBA.com. 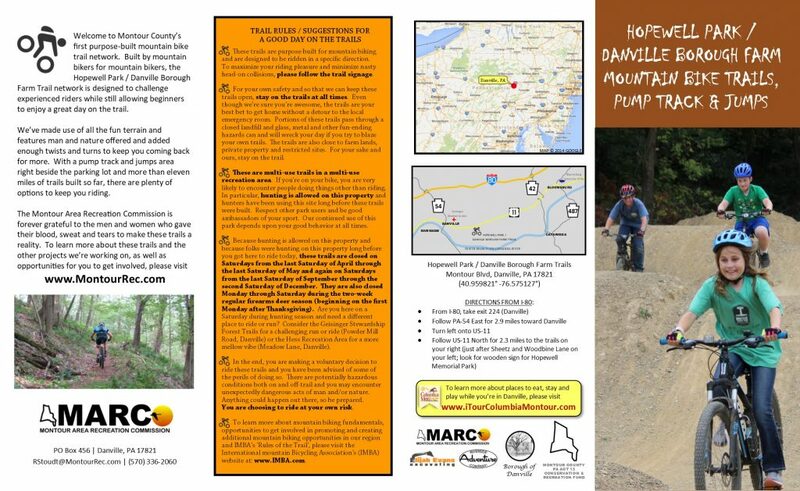 To download the official trail brochure and map, please click on the image below. For directions to the trails, click on the map below. To download a copy of the Gooderham course map, click on the image below. To view the course in Google Maps, click on the map below.